Prime Minister Narendra Modi has said India’s commitment to peace is just as strong as its commitment to protecting the country’s territory. He asserted that his government is ready to take all necessary measures to equip the armed forces to bolster their strength. Prime Minister was speaking after inaugurating the tenth edition of the Defence Expo at Thiruvidanthai near Chennai. Listing his government’s initiatives to promote defence production in India, Prime Minister accused the previous UPA government of policy paralysis in the defence sector. Lauding the contribution of small and medium sectors contribution to defence production which has grown by 200% in the last 4 years, Prime Minister said government is committed to establish two defence industrial corridors, in Tamil Nadu and Uttar Pradesh. The Prime Minister told that the Standard Operating Procedure for issue of export authorizations has been simplified and put in public domain. 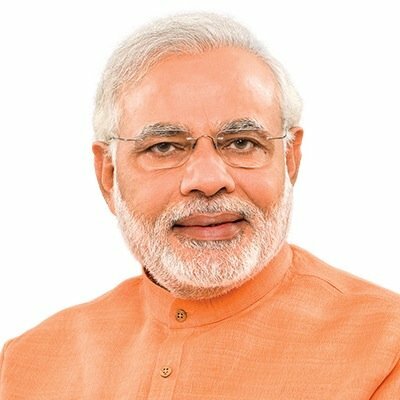 Emphasising the government’s focus on military modernisation, Modi said the government has launched the ‘Innovation for Defence Excellence’ scheme” under which ‘Defence Innovation Hubs’ will be set up throughout the country to provide necessary incubation and infrastructure support to start-ups in the defence sector. Referring to the exports, the Prime Minister said that the total number of defence export permissions which stood at 118, for a total value of 577 million dollars had increased to 794 more export permissions, for a total value of over 1.3 billion dollars. The Prime Minister watched an audio visual presentation of India’s defence capabilities and also launched IDex which is a platform for innovation and excellence for the start ups. Speaking on the occasion, Defence Minister Sitharaman said Defence manufacturing is not just part of Make in India but the heart of it. She said, govt aims to make the country a manufacturing and export hub of defence hardware. Ms Sitharaman said that policies with regarding to manufacture and procurement of defence equipments were reviewed and made simple. Though the four-day Defence Expo, began yesterday, it was formally inaugurated by the Prime Minister today.